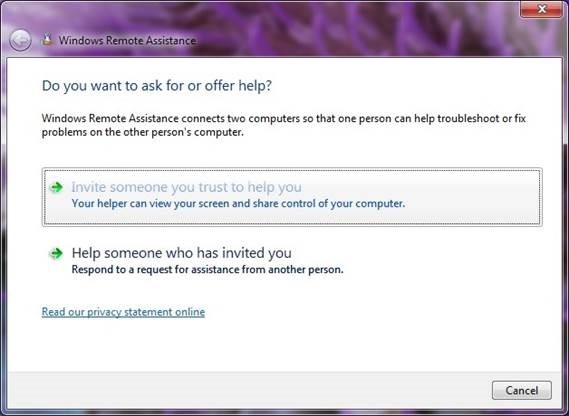 1) Go to your start menu and type “assistance” in the search box (see below). 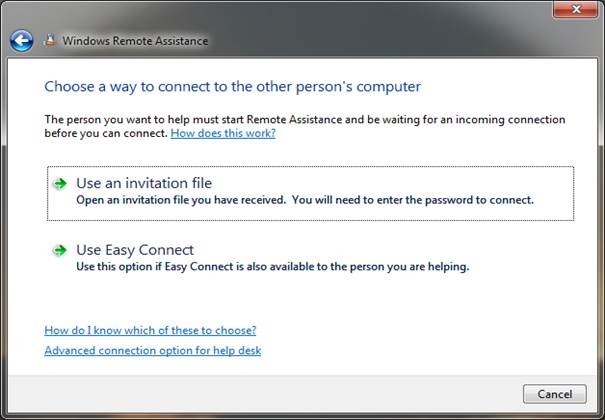 2) Windows will find the Windows Remote Assistance program. 3) You will now have 2 choices, ask for assistance or offer assistance. 4) On this screen click the link, “Advanced connection option for help desk”. 5) Now you can type in a computer name or ip address (and it will keep a history of what you previously entered). 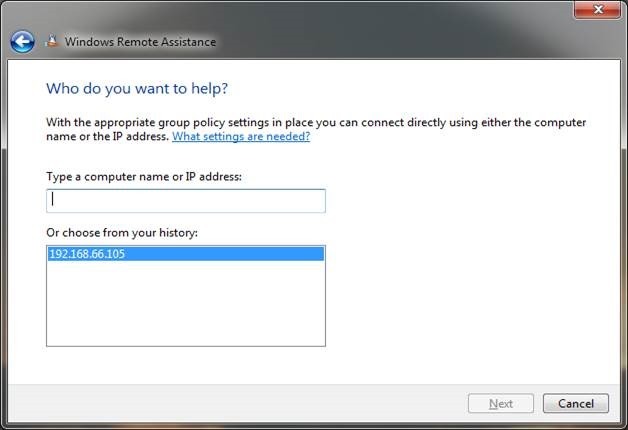 6) Click Next and it will start a remote assistance session. This entry was posted in Windows, Windows 7 and tagged Help desk, Microsoft Windows, Utilities, Virtual private network, Windows, Windows 7, Windows Remote Assistance. Bookmark the permalink.